Is Peru also on your bucket-list for holiday destinations? The best way to get to know the real Peru is travelling together with the locals: the FairMail teenagers. During FairMail’s photography trips you travel together to off-the-beaten-track destinations in Northern Peru, sharing the joy of taking pictures of the local beauty you encounter. For those interested to learn more we are organizing an information session about FairMail’s upcoming photography trips on the 8th of October in Amsterdam, the Netherlands. 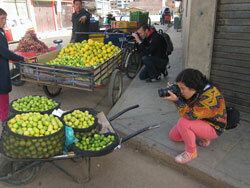 Read more about FairMail’s photography trips here or register to participate by clicking here.